„Theo gegen den Rest der Welt“ from 1980 has been scanned by ALPHA- OMEGA digital in 4K resolution. We are happy to add our share to the preservation of this film. 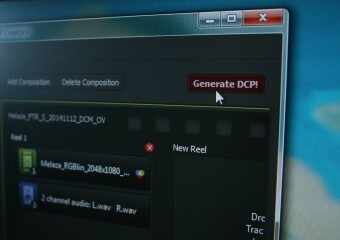 We create a DCDM / Digital Cinema Distribution Master for Lumatic. Production: Our wonderful Nature – The Common Chameleon. Final destination is the german Bundesarchiv Film. Mastering in 2K and 16bit (source). What is a Digital Cinema Distribution Master / DCDM?